Sunday Lunch at The Exeter Arms! The ideal place to spend your Sunday with friends and family, with the menu changing every week you're not going to be disappointed! Book online for free text confirmation or call 01332 809 323. For just £4.95, the little ones can enjoy a tasty meal! Book online for free text confirmation or call 01332 809 323. 6 out of 7 people were very happy with their meals. The 7th person was slightly disappointed with the picalilly served with the British Tapas. Lovely evening in a nice atmosphere with great food. First time here, out with visiting friends and loved it here. Great atmosphere and the food was amazing, will definitely be returning. A busy pub. The food was good with a reasonable choice but on the expensive side given what was on offer. Lovely pubs and great choice of menu. Excellent friendly service. Quality food. My only suggestion is when preparing tables for next diners, ie rearranging tables to be mindful of how noisy the tables / chairs are when moved on stone floors. Can be very disruptive to other diners. Beautiful food. Great service. Highly recommend. Very friendly polite staff, great menu choices at reasonable prices, well-stocked bar, good choice of real ales, great atmosphere, quirky decor, busy so book to avoid disappointment, only a 10 min walk to the city centre. I would definitely visit again. Our starter and main course was lovely. We both really enjoyed although it was quite loud in here. Great pub , very quirky surroundings and staff , all walks of life . Fantastic food far too much too eat for me but not my sons . Something for everyone. Not the first time I’ve eaten at the Exeter and it won’t be my last. Would recommend it to everyone . Fabulous food, excellent beer. Awesome. Lovely pub, friendly staff, good selection of beers and excellent food with huge portions. Lovely traditional pub with an edge ! Good Good and friendly staff. Would definitely recommend! Food was tasty but expensive. From the sea - favourite starter. Sausage mash and onion gravy for main- gravy a little weak and not rich with flavour from the onions. Had better main dishes from here before. Food quality is first class and a special mention for the lady who served on our table - great service and with a smile. Good food, really pleasant experience only somewhat chilly at the rear part of the pub (despite 3 plug-in radiators on the go). We went to The Exeter Arms for Sunday lunch. We had a very warm welcome from the staff. We didn’t have to wait long and the food was served. It was really delicious and the portions were generous. Another good experience at this lovely pub. We took along a couple of friends to the Exeter for a meal and drinks. We were all very impressed by the excellent friendly service and fantastic food. Nothing was too much trouble for the staff and we didn’t have to wait very long to be served our meals, the portion size and quality of food was outstanding. The only thing I could suggest on improvement would be to be able to pay the bill at the table. We had to queue up at the busy bar to pay. We were going on to the theatre so this caused us a bit of a delay. This is only a slight thing and would not put me off returning to the pub. I am already planning my next visit and can’t wait to visit the Exeter again very soon. Excellent food and good value. I love this place the food was excellent and the staff very attentive. 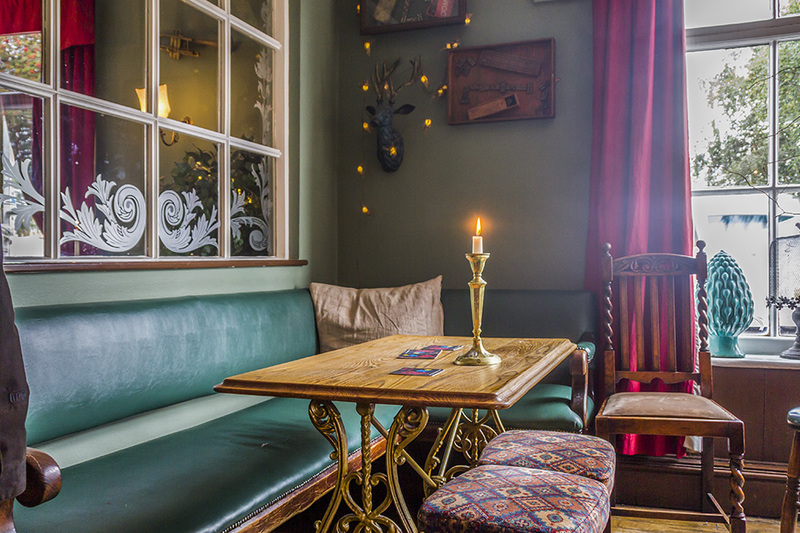 The pub is quirky and cosy you're made to feel very welcome. Hopefully we'll be back very soon! Nice food, lovely quirky old pub with plenty of atmosphere. We had a wonderful evening, with wonderful food, in a warm and cosy atmosphere at the Exeter Arms. Couldn't fault it, the staff were fantastic, kind and polite and very attentive. Will be back next trip to Derby. Thank you !! Excellent food, service, beer and wine. Excellent meal with wonderful staff. We were unfortunately late but the staff were so helpful and accommodating. We will definitely go back. Wish it was our local. Risley park could learn a lot! Amazing food, amazing service. Thank you!! Meals were good apart from most expensive meal where the brisket was tough and under cooked. Overall all six of us thought the meals were expensive compared to other places we have eaten in derby, also the dessert menu was poor and not very appealing ,very limited choice as a pub drinks and atmosphere lovely but menu and cost of meals a little off putting and would not recommend. Great atmosphere and service - food was excellent and good value. Pre ordered meal was changed without hesitation. Really enjoyed it and I would definitely go again - well done! After hearing great things about the pub we thought it was time to visit, it was amazing. The service was brilliant the food was piping hot and delicious. Great value for money as well. Lovely food with great service. It's a little out the way but staff were still attentive and helpful. Great food, excellent choice of cask ale, nice hide away on the edge of town centre. Will definitely visit again but maybe in the evening. Would never book again when the back room is used for a Birthday venue. The chef can't cope. Think you should think more of your diners that give you your rating. Excellent food! We both had the pie with chips and peas. The pie was particularly tasty, full of chicken, pork and beef. The service was friendly and efficient. We could not recommend the Exeter too highly! We shall definitely be back. As always excellent food and beer, service was quick and efficient. Absolutely delicious, and surprisingly well priced. Menu says a "few cheeky chips" with the sandwiches etc so we ordered extra chips as well - no need, portions were very generous. Beef and Stilton on ciabatta was excellent. Pulled beef wrap also good. Total cost for 4 pints, and food, £33. Will definitely go back. We thought it was ok, but nothing special. Food excellent and staff were brilliant! Food ambiance great, we all enjoyed our Valentine night. Will defiantly eat here again. Lovely old pub food, excellent, and served on lovely tableware. Overall brilliant, we look forward to next time! It was very nice, we will go back! Lovely food, British Tapas, very filling! Lovely atmosphere, cosy and like sitting in someone's front room by the fire. Book to avoid disappointment. Fabulous food, ambience and service. Love the new extension in the back. 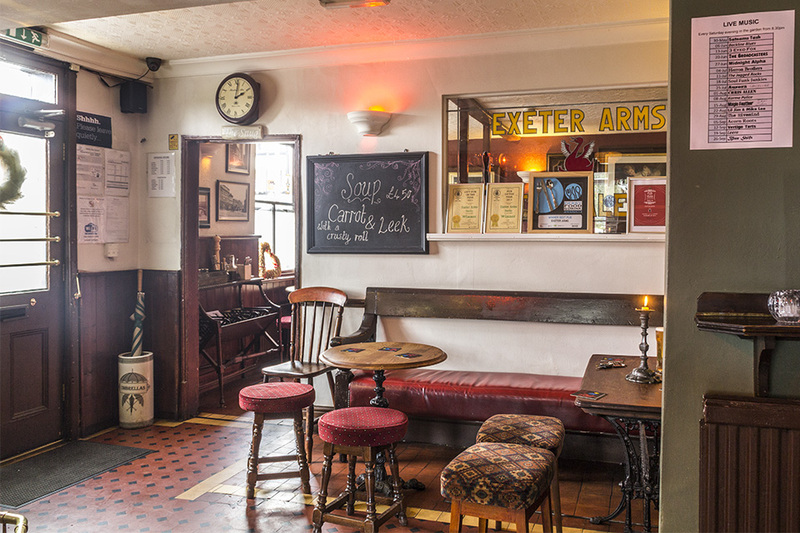 The Exeter Arms is well worth a visit. Booking advisable. Our party of six had a very pleasant Christmas lunch. Our reserved table was set for us in a side room on our arrival. This room is off the main bar area and lacks the overall ambience that The Exeter offers. However, this did not impact our visit and all the party enjoyed their chosen real ale before ordering from the menu that gave a good choice of interesting dishes. The starter of pate was a little short of pate but otherwise enjoyable. Our mains followed and all agreed a most enjoyable meal. Perhaps the only negative comment at the time was the meat pies - while very tasty they were in fact a little bit short of actual meat. Perhaps the meat is very finely ground to mix in with the thick gravy! However, this did not affect our overall view of our visit to The Exeter. Deserts to finish for some of us completing our convivial and relaxing lunch. We all agreed it was a place we would happily return to in the future. Good hosts. Good service. Well done The Exeter. Although the food was quite tasty (I had the veg pie) it dissolved into an eggy mush on the board it was served on and was quite difficult to eat and appeared unappetising. Lovely and helpful staff and great ambience. A little overpriced for what we had I felt although I will go back to sample other food because the beers are excellent! Friendly welcome from the barman at Exeter Arms and a nice touch on the table with the name and date of my booking on a wine bottle. Food was lovely and well presented. Look forward to returning soon. Very friendly and great atmosphere at The Exeter Arms. Service a little disorganized. Size of the Sunday roast a little on the small side for bigger eaters, but very tasty. A very enjoyable early evening birthday party. 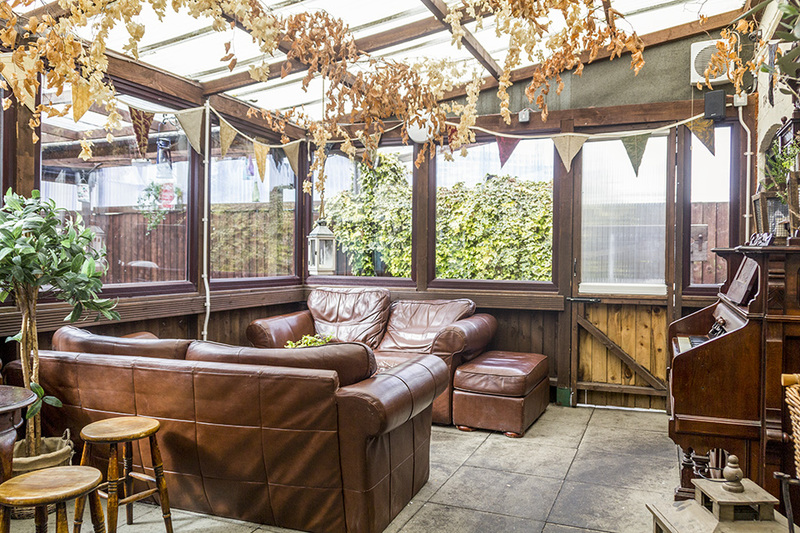 Cottage room recommended for a family or friends get together. Excellent atmosphere at the Exeter Arms, great selection of drinks and the food was amazing! Definitely worth another visit! Great atmosphere, food was very good. The menu had some different twists, that might not to be to everyone's taste, but we all enjoyed it. Excellent real ale. Slightly more expensive than I like to pay for a pub meal. But we won the Monday night quiz to complete a very enjoyable evening. A fabulous meal was enjoyed by all four in our party. The 'Chip Tank' was amazing. We'll definitely be having that again. The Exeter is a lively pub with lots of space for dining, also great for just popping in for a drink or two. We'll be back soon. Really nice food, cosy pub and good service. Menu has one slight change, it was now Chicken Kiev rather than Chicken Hotchpotch - need to make sure online menus are up to date. Great food, great beer would definitely go again. Would like a different veggie option as I've eaten the same thing both times I've been - tasted lovely though!!! Exceptionally busy and it looked as if they were a little short-staffed, but the staff on duty were absolutely brilliant. Excellent atmosphere at Exeter Arms and service. Had pork and also white bait. Delicious. Followed with cheese and port! Excellent food, service, beers and atmosphere at the Exeter Arms! Great food and atmosphere at the Exeter Arms. Good beer too! We had a great night, staff were brilliant and the food was excellent. Just a bit noisy. Will book again but will go later in the evening! 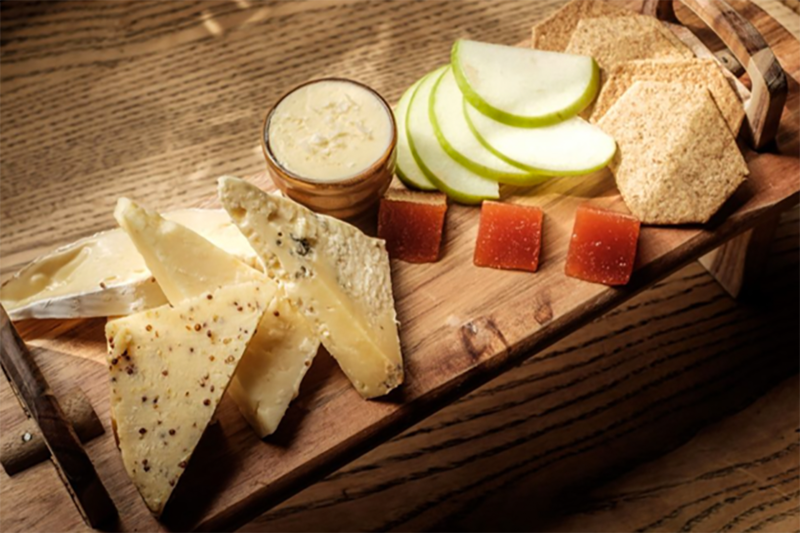 British Classics, excellent beers and a traditional vibe at Derby's The Exeter Arms. 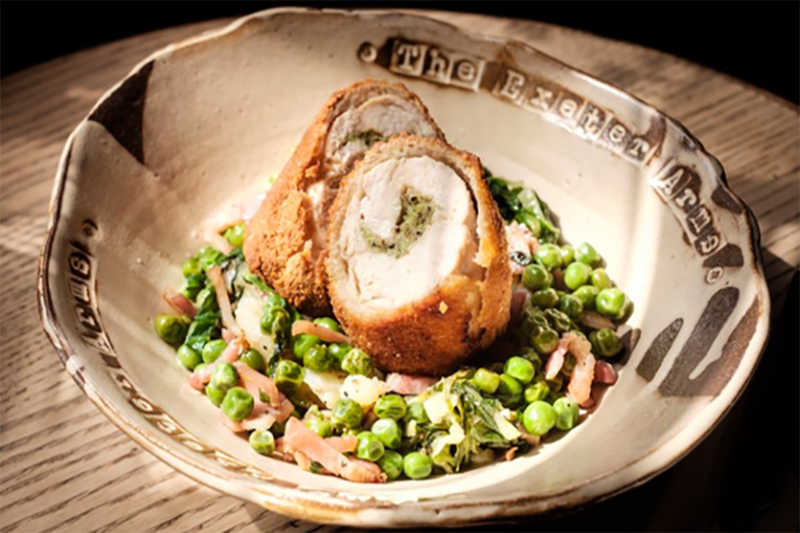 The Exeter Arms is a popular among locals for their classic British dishes that are prepared with seasonal produce. As well as exquisite food, you will enjoy great beers, plus it’s perfectly situated for diners coming from anywhere in Derbyshire or beyond to visit the city centre. 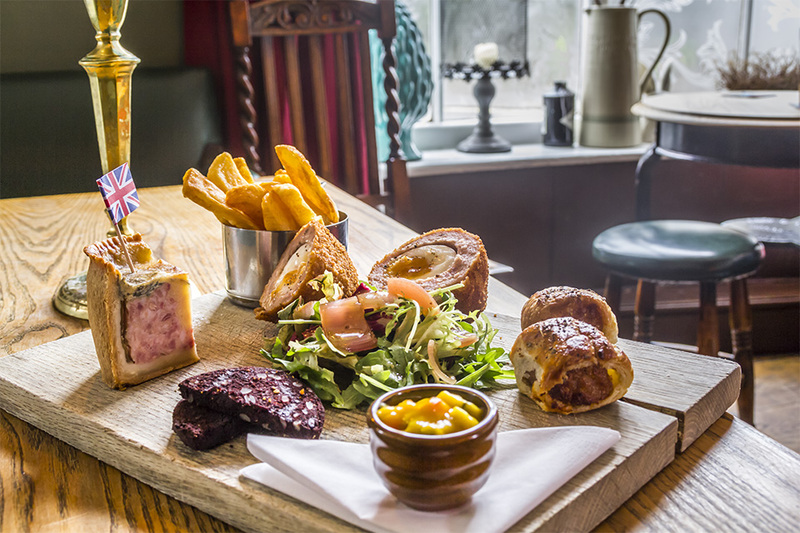 The menu speaks for itself at the Exeter Arms, but you’ll be pleasantly surprised with how at home you feel, so make sure to pop by this beautiful Derby pub as soon as you can. We make our nachos here at The Exeter. FOOD SERVED: 12 – 8pm Booking is strongly recommended at all times. Choose mini soup or a few cheeky chips? Offer 2 Offers Available Sunday Lunch at The Exeter Arms! £4.95 - Young Guns! The ideal place to spend your Sunday with friends and family, with the menu changing every week you're not going to be disappointed! For just £4.95, the little ones can enjoy a tasty meal!